How do you manage your website that resonate with potential users, stirring their attention and rousing their interests? That’s the goal we all share as web developers, right? What if there were a way to combine simplicity in website maintaining clarity in design and addressing user’s main purpose and goals? To design website that strike a chord within users, you need to make your design so simple that your potential customers can find the information with ease and comfort space to stay into your site. Confusing your users with extraneous information that are completely irrelevant to their purpose goals may also divert them to competitors site. Thus, it is inevitable to help your users know the core aspects you want them to focus on. So, you might be wondering what does this mean to management of websites, right!? 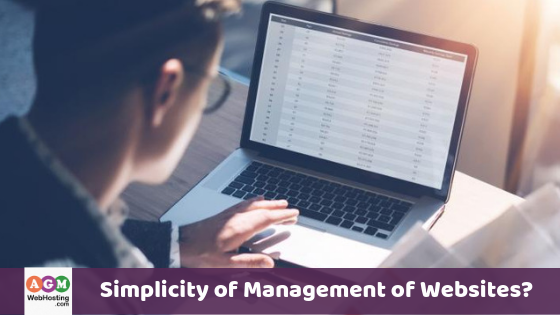 Simplicity in website management is – at its most basic – the removal of all inessential elements or features from the website ensuing greater legibility and allowing only stand-out elements to exhibit preserving focus of the users and purpose that they are actually seeking for in the website. To get you started down the road of simple website design, management and it’s importance, I’ll touch on a couple of evidences that really makes you feel think of importance of simplicity in design. Fret not, for you can only make use of what makes sense, and leave the rest. Without further ado, lets dive straight into it! As a website developer, have you ever thought about implementing simplicity in your design? 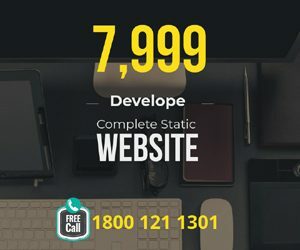 Site owners who adopt this technique for their business website design encourage their prospects to map the service or product geometry in more convenient way and discover various aspects of their services ensuring higher conversions. If you developed simple website for your business, you’re already creating entry barrier for other competitors to more extent. However, also remember simple can be harder than complex as you as a web designer have to put much effort to get your thinking clean to make it simple. Today, every brand owners are leveraging the power of simplicity to strengthen their brands. Let me illustrate the point with world’s popular search engine example. Although there are several reasons why today’s most popular search engine Google Inc. beat out Yahoo Inc. and other top competitors in their early period, one of them is being simple and maintaining the clarity. When you compare among the two popular search engine, Yahoo’s home page diverts user’s attention away from their prime goal and also allows user to browse aimlessly for the completely irrelevant stories by having too many things going on at a single time; while google directs to only one thing and that is search matching the user’s goal. Don’t forget there is always some room for you to fine-tune and improve your simple design with better usability and utility. In the survey, when users were asked to describe why they mistrusted the site, 94 percent would directly relate to the site’s design for success and effectiveness of any business. Therefore, a well-built site generates better web traffic and an improved usability and utility leads to increased conversions. What’s more, your website represents the face of your business and most potential prospects will visit your site before they ever look in on your store, it becomes inevitable to manage and design the website with utmost care and making it simple. It is likely that lacking in any aspect could end up ruining brand impression too. Moreover, simple design makes it convenient to draw viewer’s eye to the crucial portion of the page – and, if you’re seeking for the conversions, that’s your call to action. Navigating a cluttered interface is no fun; it can be confusing, overwhelming and bit frustrating too. Also, it boosts complexity for users to discover and complete the call to action. If you’re aiming for strong conversions, then it is essential for designers to ensure that viewers get messages as easily as possible serving their specific purpose. You can always fine-tune and improve your simple design by reducing menu options as it distracts users from their primary purchase. Also, I believe now you have understood how drawing your viewer’s focus in too many directions at once will decrease the likelihood that they will actually act on any of the opportunities such as increased sales, more signups and subscribers. It can also be tempting to throw everything you’ve got at your website in order to make it look as impressive as possible. However, as with most things that try too hard, may cause more harm than good. Therefore, it is much more important for developers to help customers grow their business with simple and beautiful design today impacting the most with the least design and your customer will thank you for their one wise decision, they have taken opting you! So, Are you now convinced enough of the importance of simple website design and management? If yes, I’ll be happy to hear your words, please let me know on the comments section below!